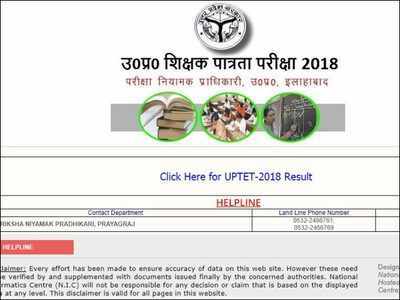 UPTET 2018 Result Declared by At Upbasiceduboard.gov.in: On Tuesday night, the Uttar Pradesh Basic Education Board (UPBEB) declared the result of Uttar Pradesh Teacher Eligibility Test (UPTET) 2018.The Uttar Pradesh Basic Education Board (UPBEB) has released a downloading link for the UPTET 2018 result on their official website. 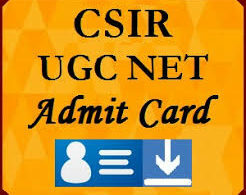 The candidates who have appeared for UPTET 2018 examination can check or download the result link from the official website upbasiceduboard.gov.in. The result of UPTET 2018 is going to be available on the official website till 7th January 2019. Out of total number of 11lakh candidates, total number of 3, 66,285 have qualified the examination. This gave the estimation of around 33 per cent candidates who have cleared the UPTET 2018 examination. The UPTET 2018 examination was held in two shifts that is morning and evening schedule on 18th November 2018. The application for the UPTET 2018 examination was filled by 17, 83,716 applicants and was expected to appear for the examination in both the shifts but out of 17, 83,716 applicants 1, 10, 590 applicants were absent on the examination day. Total number of 16, 73, 126 applicants were present on the examination day and appeared for exam. The application for the UPTET Primary Level 2018 examination was filled by 11,70,786 applicants and was expected to appear for the examination in both the shifts but out of 11,70,786 applicants total number of 11, 01,710 applicants were present on the examination day and appeared for examination, which gave the estimation of 94.1 per cent. The candidates who have successfully cleared the examination will appear for the teachers’ recruitment examination which will be held next year on the month of January. Earlier, on the website of UPBEB, the Board has updated answer keys for the candidates. Still the candidates are not happy with the revised answer keys and are planning to move on to High Court for this issue. Step 1: Firstly, visit the official website of Uttar Pradesh Basic Education Board (UPBEB), upbasiceduboard.gov.in. Step 2: On the homepage, you will see a link that says “UPTET 2018 results for upper primary and primary teachers”, click on that. Step 4: Enter your credentials such as registration number, date of birth, user ID and Password. Step 5: After entering all the correct details, click on submit button. Step 7: Save or download the result and also take out the printout for further use.